Usually, I beat Jen to the elevator button, but this time was different. I got distracted by the elevator: believe it or not, it looked like a diving bell. I knew then we were in for something completely different…and I was right. The Shaw Ocean Discovery Marine Centre (long name I know) has fish and plenty of them. Their specialty is local fish: I had no idea we had so many weird fish living close by. My favorite was the octopus. Man, he is the weirdest dude ever. His head looks like something from a sci-fi movie, and he has a gazillion suckers stuck to the bottom of his arms (which he also has entirely too many of). I would not want to meet him when he’s looking for his dinner; although Mom told me, he wouldn’t be interested in a little boy like me, especially one with brown hair. Mmm, I wonder if I can interest him in a big girl with long brown hair, one that goes by the name of Jenavieve specifically? Now for the really fun part… Dad said, we would get a chance to “discover” sea animals, but I didn’t really know what he meant (so what else is new). It turns out you get to touch all kinds of little sea animals. I put my finger on an anemone and it closed shut. Jen touched a purple starfish and it didn’t do anything. We spent about half-an-hour in there and Dad gave us the two-minute warning. Jen sweet-talked him into another five minutes, which dragged out into ten, which dragged out into twenty by the time we cleared the gift shop. By the time we left, my watch said 1:00 PM, exactly one hour past my lunchtime. Boy was I hungry. Sidney has loads of restaurants, but Dad had his eye on this all-day breakfast place called Third Street Café. Eggs aren’t my favorite, but according to Mom their eggs benedict are out of this world, and she’s hard to please. Come to think of it, my chicken strips and fries were good too, but as Dad says, you can’t go too far wrong with fries. As soon as I saw how much food Mom ate, I knew we were in for trouble: the next step could only be going for a walk to burn off some calories. I can never understand why we all have to suffer, because Mom eats too much food. Anyway, Sidney has an easy, flat walk which even Jen and I didn’t mind. 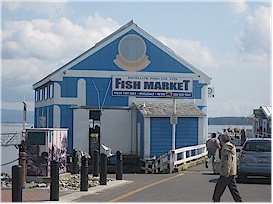 It goes by a big fishing pier that juts out about 400 feet into the water and a ferry terminal. Dad said the ferry goes to Anacortes, a place in the United States. We walked for about a mile and turned around, which was just right for me. I could see people walking in the distance, but I kept my mouth shut. I didn’t want to give Mom anymore bright ideas. I don’t know why, but wherever there are stores, my Mom and Jen always have to go in them. Why we have to waste our time shopping, I’ll never know. This time Dad even got in on the act because he found some book stores that sold really old books, even maps (Whoah—hold me back). I guess I shouldn’t talk, Mom bought me one of those mind teaser puzzles at the toy store. Jen got a crochet craft kit too. Mom likes the bathroom store, probably because we just got our bathrooms renovated. Anyway, there are lots of stores to pick from, and I suppose it is “quaint” as Mom puts it. So the next time you go to Vancouver Island, be sure to talk your parents into stopping by Sidney. It’s only about five minutes from the ferry terminal. You’ll have a blast. 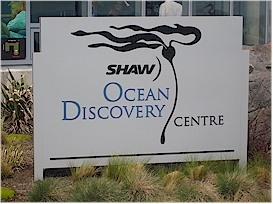 My vote goes to the Shaw Ocean Discovery Centre, or the toy store on the main street. 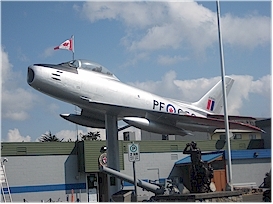 Sidney is about 10 minutes south of the Swartz Bay Ferry Terminal. City of Sidney Website. 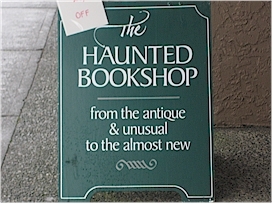 Established in 1996 and one of only a few in the world, Sidney is Canada’s Only Booktown. Sidney has a bit of everything: eateries, walking paths, book stores, and even a toy store. At the Shaw Ocean Discovery Centre a "diving bell" lowers you "below the surface" to explore the sealife of the Salish Sea"